Stoneybrook Golf and Country Club of Sarasota. Stoneybrook Golf and Country Club is a gated community with an Arthur Hills designed 18 hole challenging golf course, community swimming pools, Har-tru tennis courts and a well equipped fitness center. Our large clubhouse has a full service restaurant, grill room and pro shop. Theme parties are held throughout the year. Other activities include Bridge, Euchre, Mah-jongg, etc. Walking, jogging and bicycling are favorite pastimes in the community. Shopping and a myriad of restaurants that will suit anyone's palate are conveniently close by. 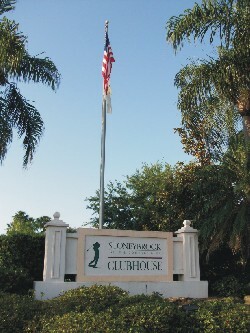 Stoneybrook is located in Sarasota on the Southwest coast of Florida midway between Tampa and Ft. Meyers. This area is known as the SunCoast. International airports in all three cities conveniently serve it. Sarasota is noted for its superb year round weather and beaches of soft white powdery sand that were rated among the top ten in the world. Neighborhoods in Stoneybrook Golf & Country Club. 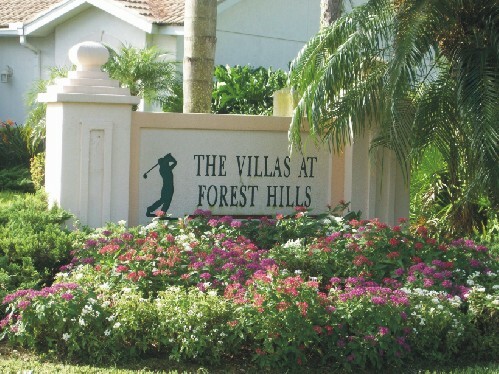 The Villas of Forest Hills.